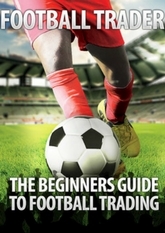 Learn how to make money trading on Betfair without any experience and a £50 bankroll! Tony Hargraves is one of the longest running professional Betfair Traders. Also known as “the badger” by his friends, he has been making money on Betfair for over 10 years. 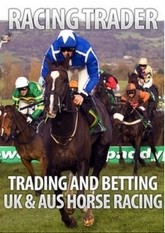 – Have you ever thought about learning how to trade horse racing and sporting events on Betfair? – Do you get upset by the long losing runs of your regular sports bets? – Would you like to learn how to trade Betfair in confidence using strategies and insights that are employed by some of the best professional traders today? I know the feeling of having to deal with long losing runs of my selections, even when I am fully-aware the method I use will make money in the long run. I am a cautious bettor by nature but still get emotionally involved when things don’t go my way on the betting front. I can start to lose confidence in my selection strategy, I begin to chop and change my process and before you know it, you are in a rut and the next winner never comes, and the cashier deposit button is worn out not to mention your bank account! Goodbye sports betting, hello Betfair trading! Betfair has so many markets that I knew there had to be a way to make consistent money, correctly predicting which way the markets would move. However, what I didn’t know was that you can actually make money from trading on Betfair and not even know one thing about the sport you are trading! 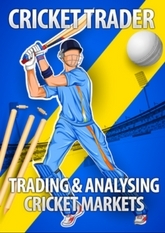 The added bonus is that if you do actually know something about the sport you want to trade, you will find spots where you can crank up your profit margins. The best thing about being a Betfair trader is that you can trade whenever you want and once you have acquired the skills it is possible to make small consistant amounts of money every single day. However, please note, that nothing is ever guaranteed when it comes to Betfair, whether it is trading or straight up betting. 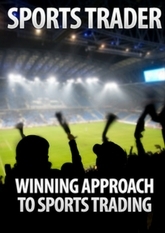 Winning at Betfair trading takes skill and total discipline. You must be 18+ to use Betfair and you must ensure to read all t&c’s before opening an account with them. If you think you have a problem with gambling, please visit www.gambleaware.co.uk. Ready to take on some of the world’s best sporting exchange bettors (and some of the worst!)? Signup to Betfair Exchange now and claim your £20 free bet! 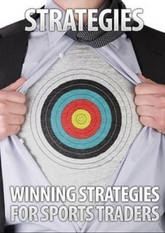 Here is a brief summary of the Betfair profit making strategies you will learn in this post. You can easily make an average of £10 per race and the profits quickly rack up! You can always jump into the action, as races or sports events are on 24 hours a day! You will not get your account restricted, just because you are winning! The big question is how do you learn to trade Betfair successfully? The simple answer is learning from a professional who not only trades horse racing and sporting events every day, but who also gives live in-person group training to rookie and intermediate Betfair traders in the UK and Australia. 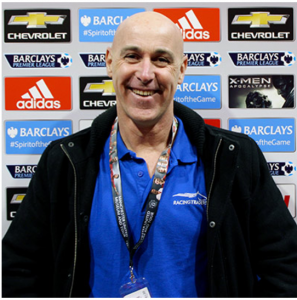 His name is Tony Hargraves and he runs The Sports Trader website. Tony Hargraves is better known as “The Badger” around trading circles. He started trading in 2004, after a friend requested that he find a way to back all events in a match and win – regardless of the result. The search led to Betfair, which was not well known in Australia at the time and the rest is history – he opened accounts, played with the numbers and he now considers it the only way to operate in the sports betting industry. By 2008 he was trading full-time and quit his job as a delivery van driver. He was an active member of the Betfair Traders Forum at RacingTraders, posting videos and advice for users of BetTrader trading software. At the suggestion of the (then) owner of RacingTraders (Adam Todd), he started teaching via trading courses at various locations around the U.K.
How long it will take you to start making consistent money from Betfair trading? If you follow the guidelines and strategies laid our in Tony’s books, you will start to make money more or less instantly. The more effort you put into it, the quicker you will start to see consistent profits. Do you need to use software and how much does it cost? Yes, trading software is an essential part of being successful on Betfair. Tony teaches how to use http:// racingtraders .co.uk/ software, which is the best and most cost-effective trading software on the market. It costs less than £20.00 per month. How much of a starting bankroll would you need to begin? You can start with as little as £50 bankroll and just keep accumulating the profits. Within a few weeks you will be up to £200+ per trade! How long will it take you to get familiar with the trading software? Obviously when you start to use new software there is always a settling in time period, although RacingTraders provide training videos to speed up the learning process. Tony also provides videos in his training courses. Practice makes perfect and you will be up and running in no time! As there is always liquidity in the UK horse racing markets just before the off, these are prime markets to trade. You can expect to make an average of £1-£5 per trade starting off, but once you get familiar with the strategies and the software, you can start to make £10+ on average per race. When you are at pro level, you can start to make more complicated trades and start to make large amounts of money per trade. Check out Tony demonstrating how he makes an easy £10 per UK horse race, without breaking a sweat, in this video. if you could quit your job and start working from home, making more than £3,000 per month tax free? Imagine being able to get up at 10am, enjoy your breakfast, open up the Racing Post website and start looking at the days races ahead. You will be able to use the strategies you have learnt in Tony’s training books to pinpoint the obvious trades in the day and then sit back and relax until the races kick off in the afternoon. 3 hours of trading making £10 per trade and you can call it quits for the day. If you want to pay for a holiday, then why not work 3 hours covering the evening meetings and accumulate even more profits? If you want a little more variety, then you can always use one of Tony’s strategies to trade the football matches in the evening! Or if you just want to chill and relax with your family and friends, you can also do that as you are your own boss! For me, the day was excellent. The venue was top-notch. Lunch was superb, and Cassie was a 10/10. Tony was outstanding, and I could watch him trade and listen to him all week. Very inspiring. Oh, and he bought us all a drink round the boozer afterwards … nice touch. After three days of giving this a go as and when I can I have thinking the practicing is starting to pay off. It was a bit up and down on the first day as I was staying in the trades to long. I know you explained this on the course but I was staying in thinking I could turn it around which is wrong and I am telling myself not to do it. I sat and watched all of your videos last night on Youtube as research and today tried again and did not have a losing race as you can see from my results as I am documenting them as I go along. First of all thank you for a really great day yesterday at your training course. I was VERY impressed with the day as a whole. Your knowledge was truly exceptional but perhaps your best attribute was yourself. To see winning bet after winning bet was inspiring to say the least and gives me genuine confidence that once I’m familiar with your teachings that I to can make a great income from trading and sports betting. Thanks again for a truly great day can’t thank you enough and look forward to having you help me achieve all my betting goals. I just wanted to thank you for the excellent course yesterday. The course was exactly what I have been looking for and was explained perfectly. I thought I was new to this but realised during the course I know more than a lot of the guys there and actually think with a bit of practice I will get the hang of the speed which is the only thing I need to master. I am going to watch the Youtube videos you have posted and then go from there. Anyway thanks for the brilliant course. An excellent day yesterday – as I mentioned at the end of the session, very brave of you to go live in an unknown venue! But the proof was there for all to see, I have paid too many times in the past for people post rationalising screenshots. I will be setting up my trading room next week. I’d like to again thank you for the course yesterday. Whilst it is mostly aimed at beginner to intermediary level, it helped reinforce things I had already learned by trial and error, plus a few good tips along the way. Furthermore it has encouraged me to spend some time on live trading rather than 100% of my time developing that elusive ultimate trigger. Regular cash flow is always nice! It was great to meet you last Saturday in Birmingham. I had a fantastic day and numerous ‘Aha’ moments, for which I am grateful to you. I now look at the Racing and Soccer markets from a different view point. I follow your comments on Twitter and will subscribe to ‘Sports Trader’ in the near future when I can dedicate more time to my trading. Thanks once again for a very enlightening day. So how much is it going to cost to get step by step training from a professional Betfair trader and Betfair accredited instructor? It looks at scalping, swing trading, dutching, hedging, backing and laying at the right price, stop losses and how to get out of difficult positions. You can buy all 5 eBooks in one package for £149.99! That is a saving of £100! This is ideal for people new to Sports Trading, or for those with some experience who want to get better and learn about new markets. Not only that but if you buy just two books get £25 discount, 3 books get £50 discount, buy 4 books get £75 discount. You cannot find a fairer deal than that!